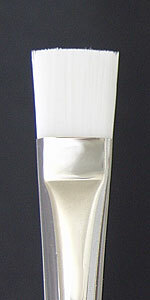 This set contains a variety of our white nylon brushes which work great with watercolors. 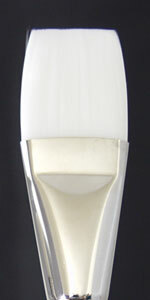 This set contains a variety of our White Nylon Brushes. 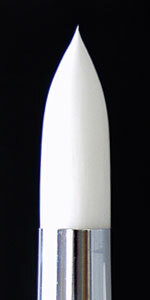 Soft White Nylon Liner. Great for Fabric Painting and Watercolors. 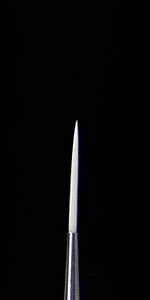 Stiff White Nylon Bristles. Used to scrub the base color onto heavy materials such as denim. Also used to clean soft-fire porcelain and ceramic bisque. Mainly used with acrylics and fabric dyes. 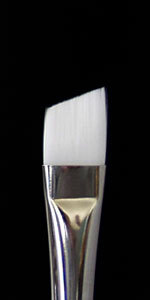 These firm, yet soft brushes are excellent for use on fabrics of all kinds. Also used as a beginner watercolor brush due to its ability to hold a lot of media. Can be used in acrylics, watercolors and fabric dyes. This Nylon Filbert is very fine and holds lots of liquid. Good for fabric painting and beginner watercolor painting. 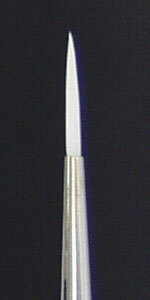 Makes comma strokes and excellent for making flowers and leaves. Used in fabric dyes, watercolors, acrylics. Good for all medium. 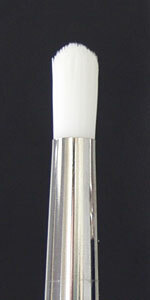 This firm yet soft Angle Brush holds lots of liquid and makes great strokes for roses and other flowers. Great in acrylics, watercolors, and fabric dyes.Good for all mediums.